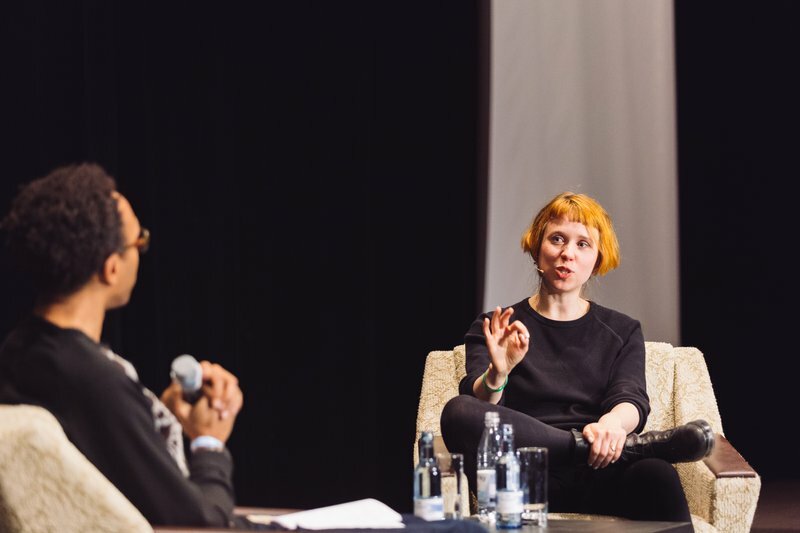 After a presentation describing the process behind her work at Loop 2015, Holly Herndon sat down to a conversation with fellow composer Jace Clayton AKA DJ/rupture. The two forward-thinking producers engage each other on the subjects of artistry as activism, working in both club and academic contexts, the role of optimism and euphoria in electronic music, plus autotune and much more. Watch Holly’s full presentation on the process behind her work. Keep up with Holly Herndon on her website and Twitter. Keep up with Jace Clayton on his website and Twitter.